Our lives are busier than ever, so our sleep must be better than ever to compensate. Luckily, the science of mattress-making has gifted us with some solutions. Do you know how to choose the mattress that can relax your body so well that your life can literally change, one night at a time? This buyer's guide makes it easier to find the perfect bed for all the back sleepers in the world. Unfortunately, not all kinds benefit us the same and some can actually damage our health. Others don’t last very long, becoming deformed or sagging over time. Even if a mattress is quality, depending on your sleeping position, it might not be the most suitable, so we want to help clear up the confusion. 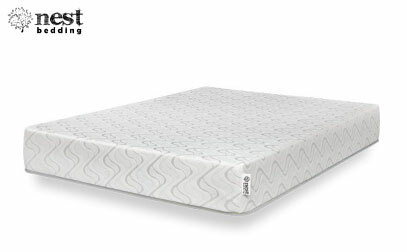 What Should Back Sleepers Look for in a Mattress? Back sleepers may not have re-energizing sleep on just any bed and finding the right one among thousands of brands and models can be tedious. To save you the tremendous amount of time and nerves, we’ve done the research on your behalf to help you find what we believe are some great mattress options for back sleepers. 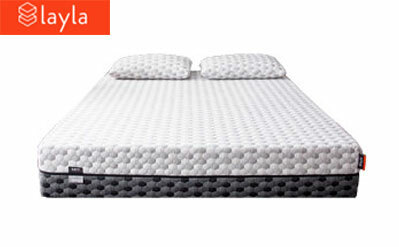 Without further delay, let’s dig into some of the best back sleeper mattresses out there. Nectar offers all of the great features of a quality memory bed at an exceptionally affordable price, and it stands out as an exceptional value. The high-density base layer is strong and durable, lending itself nicely to spinal alignment. The medium-firm feel of this bed is highly versatile, and this brand’s design does an excellent job of gradually increasing firmness through the three layers of foam so that both the heaviest and lightest parts of your body sink into the mattress for a more uniform feel. What makes it unique? Though back sleepers are often served best by a firmer mattress, these can create uncomfortable pressure points on the parts of the body that tend to be lighter because foams firm enough to support a person’s hips may feel too firm for your arms and legs. The all-over sinkage provided by the Nectar hugs the entire body for a snug and supportive sleep. Memory foams are often associated with high levels of heat retention, but this brand’s top layer is infused with a gel that helps reduce the likelihood of heat building up around your body that can cause you to overheat. Though on the surface Saatva feels plush and soft, this innerspring brand doubles up on the support with two coil systems stacked on top of each other for an exceptional experience in spinal alignment. This company does not fold their mattresses into boxes, which means they are able to offer materials that are more compression resistant than bed-in-a-box competitors. This bed comes two different heights, 11.5 and 14.5 inches, and three different firmness levels. The Firm comfort level incorporates slightly firmer foams that offer pressure relief and additional support simultaneously. What makes it special? Back sleepers can feel the plush cover and foam push up into to their lumbar region, and the first layer of pocketed coils offers more body shape conformance. The base’s interconnected coil system provides a strong and sag-resistant system that helps keep your back in a neutral and comfortable position. Those who are environmentally conscious can appreciate Saatva’s efforts to incorporate more sustainable materials, from a percentage of bio-based oils used to create the foams, coils made from recycled steel, and an all-natural cotton cover. 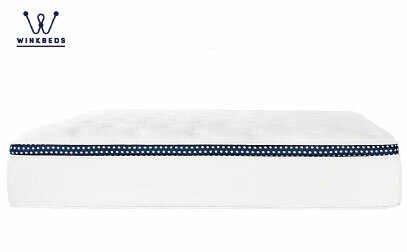 Since Casper’s inception, this mattress has been the subject of rigorous research at the company’s lab in California. Their aim is to create one mattress to accommodate most sleepers and their favored positions with a “universal feel” and are continually fine-tuning their design to meet this goal. What stands out? 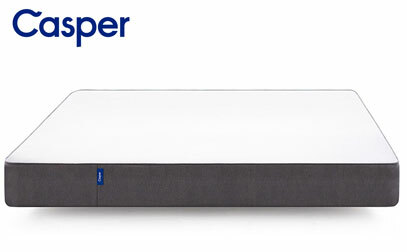 Casper’s design is uniquely versatile and works well for all three sleeping positions, but we think their recently updated support system really goes to work for back and stomach sleepers because of its zoned third layer. This extra firmness in the center of the bed helps keep the spine exceptionally well aligned, even if you happen to carry additional weight in your midsection. The mattress’ temperature control is largely due to the company’s layering strategy. They have placed heat-retaining foams deeper into the mattress so that you should not feel any heat build up. Also, you aren’t sunk as deep into the mattress so air is free to circulate around your body to keep you cool. Cushioning depth also simplifies repositioning along with the quicker-responding foam in the surface layer. Learn more about Casper and its overall pros and considerations here. This hybrid’s coil-on-coil structure comes in three different firmness levels, but we chose the Firmer option for back sleepers because of its zoned support system and exceptional lumbar contouring. At 14.5 inches tall, the WinkBed is stacked full of durable materials, including memory foam, a tufted cover, and two pocketed spring systems. The micro coils, which are placed closer to the surface, are designed to provide a unique blend of support and pressure relief, while the 8-inch coils work at maintaining proper alignment of the spine. What is its best feature? The Firmer WinkBed has zoned coils in the base providing additional support in the center of the bed where the sleeper’s midsection typically rests. Those carrying a few extra pounds in their stomach or hips should not experience sagging in this area that can affect spinal comfort. This brand is designed to accommodate sleepers with more substantial weight considerations, and the company also offers a separate model, called the WinkBed Plus, specially designed for sleepers over 300 pounds. See more about the Winkbed model in our complete overview. Latex is growing in popularity in the mattress business, and for good reason. It offers press-relieving contouring, but it is quick to respond, which helps with repositioning, and it does not trap body heat like other foams. 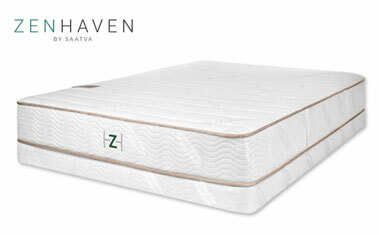 Zenhaven’s latex is formulated using the Talalay process, which results in a more consistent foam that has a light and airy feel. Four layers of Talalay are topped with a 100% pure wool layer and wrapped in an all-natural cotton cover. Why did we pick it? If you are an exclusive back sleeper, you have probably heard sleep experts recommend a firmer mattress, but how do you know that is what you want until you try it? With the double-sided Zenhaven, you get the opportunity to try both the Luxury Plush and Gentle Firm to see which works best. The comfort layer is zoned into five regions using pin holes punched into the foam to provide the right ratio of softness and support across the entire length of your body. Lighter body parts are given the opportunity to sink, while heavier parts receive firmer reinforcement to hold them level. Learn more about Zenhaven if you want to see the details before purchasing. If you are in the market for a memory bed, Layla offers a classic memory experience that holds your body deep within the mattress to provide maximum lumbar support paired with high-performance cooling technology to keep you from overheating. If a slightly firmer experience is your preference, you only have to flip the bed over for a completely different feel. What makes it special? If you have never slept in memory foam before, it is hard to know what level of cradling works best for your body. Or maybe you would prefer to sleep in a deep hug in the winter, but prefer an even cooler surface-level sleep with more airflow around your body during the warmer summer months. The dual-sided Layla lets you have the best of both memory experiences with just one mattress. Layla keeps their memory foam from getting too hot by infusing it with copper, a material known for its ability to conduct heat. A gel incorporated into the cover also helps to keep the surface cool and dry. Most back sleepers will love the mix of comfort and support of both sides of this mattress, but if you are someone who is significantly heavier or have trouble navigating out of a deeper hug, the Firm side may be a better match. Want to know more? Read our in-depth review. 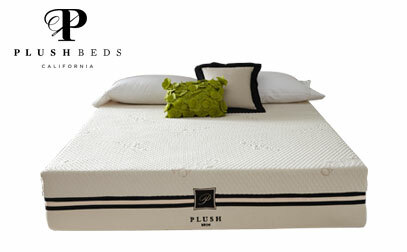 PlushBeds has gone the extra mile to ensure one of the most all-natural sleeping experiences on the market today. It is also one of the most customizable, as it is available in three firmness levels and three different heights. You may also order the mattress split, and the company will tailor each side to suit your individual preferences and those of your sleeping partner. What makes it unique? With the moisture-wicking wool padding, the mix 100% natural Dunlop latex and the breathable cotton cover, demonstrates that this product has been furnished with some truly exceptional materials. Certifications from GOLS, GOTS, GREENGUARD Gold and others ensure that this brand meets the rigorous standards required of organic products. Furthermore, the brand’s level of customization also strives to ensure the mattress does not end up in a landfill. Through its 100-night Comfort Guarantee, the company will work with you to change out the layers and change the firmness of your bed to make sure it is a perfect match for your needs. Want to know how to customize your order? Learn more here. With their Love & Sleep model, Nest Bedding proves that a truly valuable sleep experience does not have to break the bank. With multiple firmness levels, high-end environmental certifications, and attractive price point, this mattress represents a fantastic value in the bed-in-a-box space. This mattress is built with three layers of foam surrounded by a durable stretch-knit cotton. 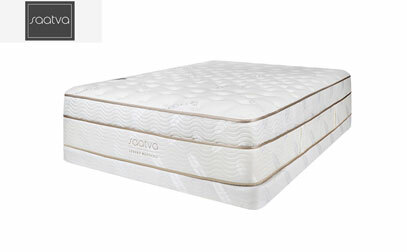 Features in the foam like a convoluted structure (an egg-crate shape that allows air to flow through the mattress) and additional cooling technology help to keep your body from overheating. Why does it stand out? Love & Sleep is priced hundreds of dollars less than many competing beds with similar certifications and features. Back sleepers shopping with tighter budgets will not have to sacrifice solid support and lumbar contouring that they need to sleep comfortably. Though the Medium-Firm will work best if you tend to change between sleep position, we would recommend the Firm option for individuals who sleep exclusively on their backs as this version has a slightly thicker base layer for added support. If you are unsure, the company will work with you for as long as you own the product to tailor the bed to your changing needs. While being excited by the chance to finally get a good night's sleep on a proper mattress is great, you should still consider the other features of a possible buy. This kind of investment will be with you for a long time, which is why you need to evaluate all relevant features. Without further ado, let’s look at the main attributes you should focus on prior to making a purchase. This is one of the most important factors you should have in mind if you want to sleep like a baby. Back sleepers come in different shapes and sizes and, unless you are absolutely certain about the firmness you like, medium to medium-firm is the safest pick. The lower back requires just the right amount of support and too much or too little may cause pain after just a few nights. Generally, back sleepers are the easiest people to share a good night's sleep with because medium firmness causes the least amount of issues for others. However, if you have a partner, you should still check with them before committing. The amount of support and the suitability of a mattress depends on its structure. Gone are the days of limited options or only innerspring solutions, and each type of sleeper can now find the perfect solution for them and their partner. Different builds and materials are also responsible for the air flow during sleep. Good circulation from the bottom and the sides, together with good heat absorption, help significantly when it comes to keeping your body nice and cool. The manufacturers make this possible by optimizing the number of layers, lowering the usage of glue, as well as maintaining efficient general layout. Springs are particularly effective here as well. Buying a new bed is not something you do every month, which is why you want yours to last a long time – and by “last,” we mean a bed able to provide you with the same great quality sleep after as it did when it was new. Sagging and deformation over time are some of the primary reasons people go shopping for a new one. Therefore, you should pay extra attention to the quality of the materials used and what other customers report to be the expected lifespan. Luckily, we’ve compiled enough information based on countless reviews to make your choice much easier. Committing to a mattress is a serious investment and you will likely want some form of security. A lot of companies offer warranties, but not all are the same. You should carefully check what is covered and for how long. For example, you should pay nothing for issues covered by the warranty during the non-prorated period. However, during the prorated period, you may have to pay some sort of a fee to change or repair the mattress. Sometimes, an impressive 20-year warranty might include only 4 years of non-prorated coverage. Honestly, this is not as straightforward as we might want to think. When it comes to beds, the most expensive one is not necessarily the best one, and there are a few reasons for it. 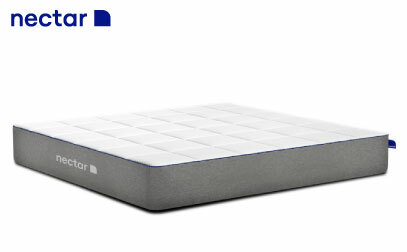 One of the first things you should look at when trying to figure out if a mattress is worth it or not is practicality. You need to know whether you are paying for an expensive cover material or for a great build quality. Back sleepers’ number primary concerns should be the comfort level and back support. Paying for a suitable unit shouldn’t make you experience buyer’s remorse because, after all, a good sleep is the priority. The amount you spend will vary depending on your budget, but the focus should remain the same – to buy the best possible bed for your needs. Finding the perfect fit can potentially change more aspects of your life than you’ve ever thought. Good rest is directly responsible for a big portion of better general health and helps reduce the risk of many diseases. Especially important is the delta sleep, during which our brains are in the restorative mode. Sleeping on the right mattress helps you transition into deep sleep and re-energizes you to meet the new day’s challenges. It should be the end of turning all night long, sweating, and lower back pain. A back sleeper should be able to stand straight and say goodbye to the pain. Resting on one of these mattresses as back sleeper could impact the quality of your days by being properly recharged at night. You shouldn’t live your life with pain and other health issues resulting from your bed definitely not being the right one for you. In this day and age, science has given us comfort-inducing and affordable materials, so we have no excuse but lay down and enjoy a revitalizing good night sleep after making the right pick for the individual. 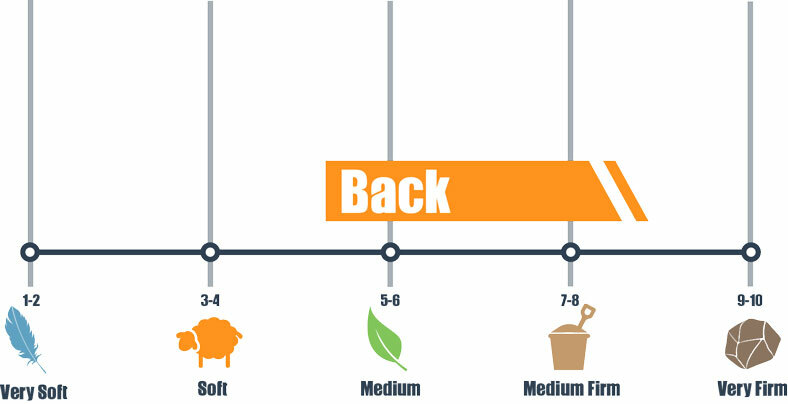 As a back sleeper, you need to be careful when picking the right firmness because your lower back is critical (more back sleeper tips). Too soft, and you can have an arch all night, causing deformation and pain across your whole body. Too firm, and your spine may ache, making you turn and unable to go into deep sleep. Are you looking for more mattress options? Be sure to see our selection of mattresses for 2019. Once you find the correct firmness, you need to consider the longevity of your investment. Make sure the materials and build quality are of high-enough order to last you several years. Still, even a very good mattress should come with a decent warranty, covering manufacturing defects as widely as possible. From the quality of the materials and the right amount of support to the fair warranty and predicted longevity, the right mattress should fit your budget. People with certain needs, like the back sleepers, can’t afford to buy just any bed and spending a little more for the right reasons can be seriously well-advised. I am a back sleeper and recently started feeling pain in my lower back and I’m almost certain it’s because of my old spring. It started sagging and offers no support whatsoever. So, I’ve been reading this article and I can’t decide which one to buy. Tuft & Needle seems good and have a fair price. Btw, I’m 150 lbs and 5’9″, if that matters.What do you think? I appreciate any help. If you are strictly back sleeper I’d say – go with Tuft & Needle. It’s firm, but not too firm and very supportive. It’s been great for me so far. Hi Emily! Thanks for reaching out. You’re definitely right. A worn out spring could be the culprit of your back pain. At your size, I think you’ll be well served by any of the beds on this list, though you may also want to check out our list for best mattress for lower back pain, if that’s something that concerns you. Tuft & Needle do wonders when it comes to back issues! I can’t describe how satisfied I am. They have great customer service, too. Saatva most definitely does the job for back sleepers. And no need to worry about sagging , it’s very strong, at the same time comfortable , perfectly adapting to your body shape. I just got mine Saatva. It was delivered on time and looks great. Can’t wait to try it out!